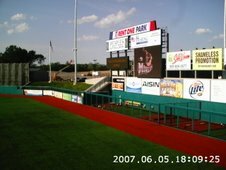 MARION, Ill. – Fans can purchase tickets for individual Southern Illinois Miners home games at Rent One Park starting Saturday, May 3 at 10 a.m. Tickets will be available at the Rent One Park box office as well as the Miners website, www.southernillinoisminers.com. ; The box office will be open until 4 p.m.
Tickets will be $8 for box seats, $6 for reserved seats and $4 for general admission and lawn seats. The Golden Corral Fun Zone will also open at 10 a.m. Saturday, and the first 100 fans will receive a free hot dog. 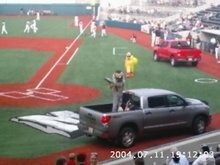 The Miners are the first team in the Frontier League to have video webcasts available for all of its games. The webcasts will feature live video from the game along with the voice of Miners radio play-by-play announcer Scott Gierman. 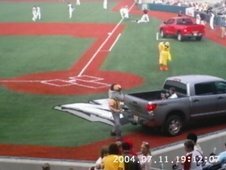 MARION, Ill. – The Southern Illinois Miners are announcing the return of outfielders Eric Suttle and Willie Keene for the 2008 season. 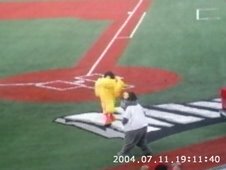 Both players were members of the Miners 2007 inaugural team. In 57 games Keene hit .263 with 12 doubles, three triples and four home runs. He drove in 31 runs. He was hitting over .300 as late as Aug. 5 but recorded just four hits in his final 14 games. Suttle played in 56 games, hitting .252 with 10 doubles, two home runs with 18 RBI. The strong-armed outfielder recorded five assists. 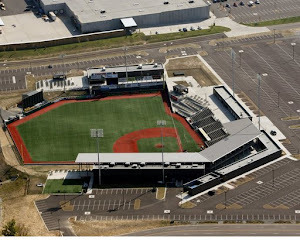 On Sunday, May 4th and Monday, May 5th, the Frontier League will host its annual Tryout Camp and Draft at Rent One Park in Marion, IL. 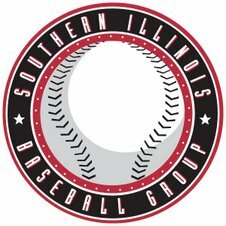 The Southern Illinois Miners, the League’s newest member, will serve as the host team. The Tryout Camp and Draft is open to all baseball players who were 27 years old (or younger) on January 1, 2008 and over the age of 18. 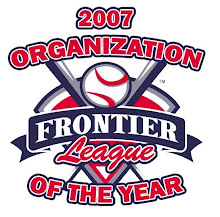 Players interested in trying out can register online at www.frontierleague.com/tryouts.php Registration will also be available in person at 8am on Sunday, March 4th at Rent One Park. 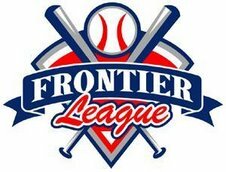 For more information, contact Kevin Rouch at the Frontier League office via e-mail at krouch@frontierleague.com or telephone at (614) 203-7911. MARION, Ill. – The Southern Illinois Miners have signed right-handed pitcher George Biddle for the 2008 season. Biddle spent the 2007 season with the Kansas City Royals organization. Biddle, 23, split time between three teams in the Royals system in 2007 reaching as high as the Burlington (Iowa) Bees of the Midwest League. Overall, he posted a 3-4 record with a 4.55 ERA in 14 games, four of them starts. He struck out 25 batters in 31.2 innings. Biddle finished his impressive college career at Eastern Michigan University ranking second all-time in EMU history with 327.1 innings pitched, sixth all-time with 20 wins and 10th all-time with 172 strikeouts. In 2007, he made 15 appearances and put together an 8-4 record (7-1 conference) and a team best 2.42 ERA. He was also a first team All-Mid-American Conference selection as he finished the season ranked second in the MAC in ERA (2.25), wins (7) and shutouts (2) and ranked third in games started (13) and complete games (2). 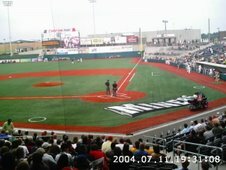 Following his 2006 college season, Biddle pitched for the Edenton (N.C.) Steamers of the Coastal Plain League along with current Miners teammate Ben Norton. For Edenton he carried a 1.85 ERA, striking out 33 and walking 18 over 43 innings. Opposing hitters hit .238 against him. 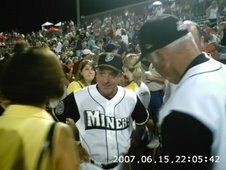 He and Norton helped lead the Steamers to a Division Championship. MARION, Ill. – After a grueling tournament, Big John the Miner can enjoy his one shining moment. 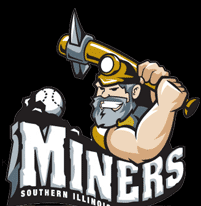 The Southern Illinois Miners logo was voted to be the best in all of Minor League Baseball Wednesday morning after defeating the Wichita Wingnuts in the championship match. Winners in the 64-team tournament were determined by fan voting on CNBC sports business reporter Darren Rovell’s Sports Biz blog on the CNBC website. Over 170,000 votes were cast in Tuesday’s finale, and the Miners logo garnered 55 percent of the vote. 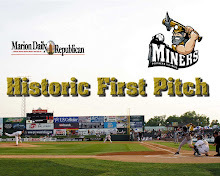 The team will receive a plaque this season from CNBC for winning the first CNBC.com Minor League Baseball Logo Championship. For more on the competition, fans can visit Rovell’s blog on the CNBC website at http://www.cnbc.com/id/15837629. MARION, Ill. – The Southern Illinois Miners have signed right handed pitcher Ryan Bird for the 2008 season. Norton, 23, spent the 2007 season with the Toronto Blue Jays organization. In 22 total relief appearances with the Gulf Coast League Blue Jays and Auburn Doubledays, Bird went 5-3 with a 1.80 ERA. He struck out 43 and walked only 11 in 35.0 innings. Opposing hitter hit a paltry .172 against him. Prior to his year with the Jays, Bird played four years at the University of St. Louis where he was one of the most dominant pitchers in school history. A two-time All-Conference selection and an ESPN the Magazine Academic All-American, Bird holds school records for career strikeouts (286), innings pitched (374.2) and games started (56). For his career, Bird posted a career 3.60 ERA with the Billikens, striking out 286 and walking only 133. He is second in SLU history in career ERA (3.48), fourth in wins (16), 10th in complete games (8) and 14th in appearances (58). In 2007 Bird ranked 10th in the Atlantic 10 Conference with a 3.33 ERA. He was named Most Outstanding Player in the 2006 Atlantic 10 Tournament, delivering wins in the first and final games of the Billikens championship run.